Advanced tickets on sale now: $40 adults; $20 children (5-11); children 4 and under are free. Tickets will not be issued. Please check in at the registration table. I’m sorry I cannot attend the event but I would like to make a donation. 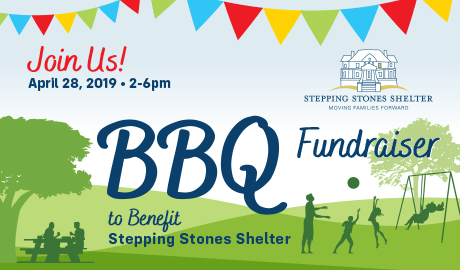 Featuring all you can eat BBQ plus unlimited beverages (beer, wine, soft drinks), moon bounce, mini-golf, other sports & games, face painting, silent auction, and live music and dancing. Date: Sunday April 28, 2:00 – 6:00p.m., Rain or Shine! Become a sponsor! Sponsors will receive a package of benefits that promotes you or your organization’s commitment to our community in a highly visible way, to an expected audience of 200+ public sector and business leaders, elected officials, and families across Montgomery County and the greater Washington, D.C. community. Your commitment will be promoted before, during, and after the event via all promotional materials, event signage, our website and through social media. 10 tickets, activity/game signage, large banner placement, table signage, audio mention by deejay, listing in our event program and web promotions. 6 tickets, large banner placement, table signage, audio mention by deejay, and listing in our event program and web promotions. 4 tickets, small banner placement, table signage, audio mention by deejay, and listing in our event program and web promotions. 2 event tickets, table signage, and listing in our event program and web promotions. 1 event ticket, and listing in our event program and web promotions.